Do the words “kitchen renovation” have a negative connotation to you? Where such an investment could be impactful to your everyday living or even future home resale value, most of us cringe at the thought of living through such construction in our frequently used space. 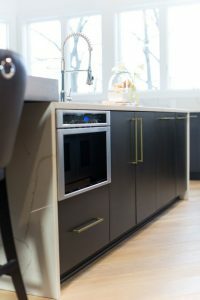 Carmel’s high-quality kitchen and bathroom remodeler, The Affordable Companies, has some great tips for keeping your sanity during a kitchen renovation! 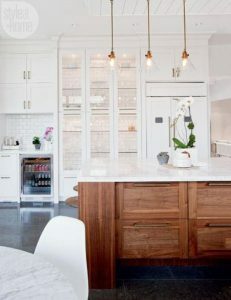 Plan Ahead: Beyond the design phase of selecting all materials, finishes, plumbing, lighting, appliances, and hardware for your kitchen remodel, be proactive by ordering all the materials before construction begins. 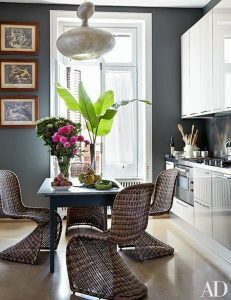 For example, when the electrician shows up to install the light fixtures, the fixtures will be on site and ready to go. Create a Makeshift Kitchen: During the renovation, appliances and plumbing will likely not be available or accessible for use. Find an alternative space in the house to set up a microwave, mini-fridge and crockpot. Additionally, stock up on paper and plastic ware or consider the bathroom sink or bathtub as a temporary dishwasher. Prepare the House: Use this time to de-clutter and donate, temporarily remove everything from the future renovation location and invest some time and money in plastic and tape. Secure all construction zones from non-construction zones with plastic and tape to avoid dust travel. 4. Get to Know Your Contractor: A renovation is an investment of time and money; get to know your contractor, stay in constant communication and don’t be afraid to ask questions! If you see a mistake or a finish doesn’t look quite right, speak up, as mistakes are easier to fix upfront than after the completion of a job. 5. Be Flexible: Even by following these steps, stress might still creep into your life while living through a kitchen renovation. Take a deep breath and become flexible during this process. Unfortunately, unexpected things happen from time to time, but keep the big picture of a beautiful remodeled kitchen in mind. At the Affordable Companies, we strive to make every renovation smooth and convenient. Our knowledgeable design and production team work with you every step of the way to ensure a worry-free renovation. To begin designing your new kitchen, visit our website at www.liveaco.com or give us a call at 317-575-9540.